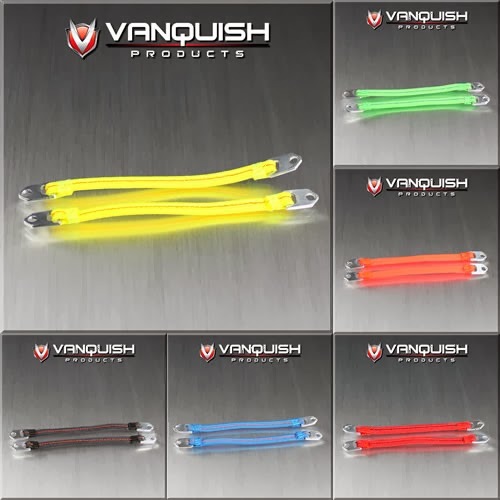 Vanquish Products has new Limiting Straps and Tow Straps for the Axial SCX10 and Wraith. Pictured above is the Limiting Straps for the SCX10. The straps attach to the shocks and keeps them from over extending. It gives the SCX10 a scale appearance just like the real one's on the full size 1:1 vehicles. 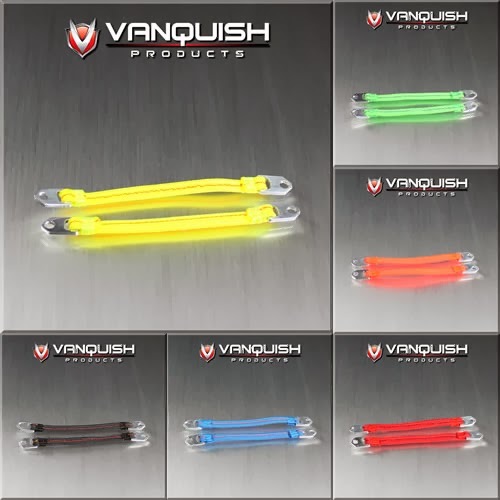 Pictured above are the Limiting Straps for the Axial Wraith. They are the same as described above for the SCX10, but the straps are longer to fit the Wraith. 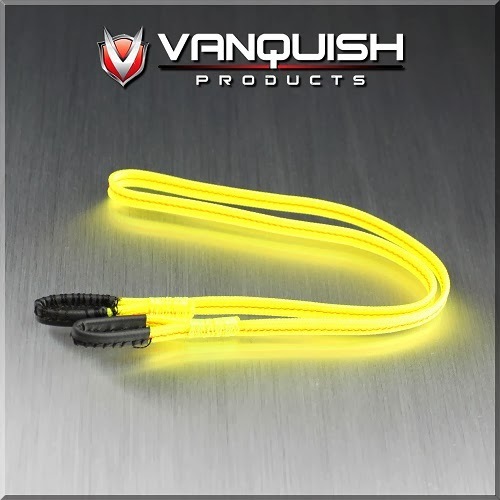 Pictured above is the Tow Strap 17" Yellow (VPS07060). The tow straps are great to give your scale vehicle a realistic look while towing another vehicle.